Taumeasina Island Resort has a number of personalized island wedding packages to ensure your Samoa wedding is full of everlasting memories and pure happiness. Choose from bespoke options and packages with help from our exclusive wedding coordinator to help you along every step of the way. A Samoan honeymoon at Taumeasina Island Resort is something you and your partner will cherish forever. Featuring romantic dining, sparkling wine for two, breakfast in bed and much more, we make honeymoons in Samoa seamless and inspiring. 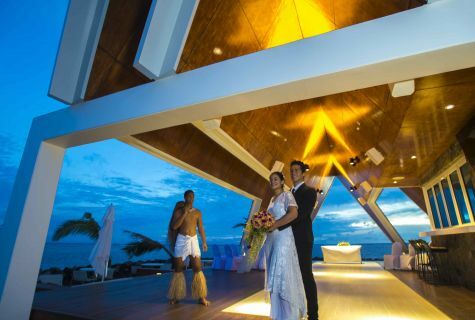 Taumeasina Island Resort offers the perfect setting for you and your loved one to renew your vows with several perfect locations for your intimate ceremony.